Mastered for vinyl and restored by Patrick W. Engel at Temple of Disharmony. High Roller would like to thank Thilo Kelling for making the reproduction of the original cover artwork possible. London’s Widow (also known as Ritual) came to be known during the period of the New Wave Of British Heavy Metal. The band’s self-titled debut album was originally issued on Legend Records in 1983. However, by the time the album was conceived, Re Bethe (guitar, vocals), Phil Mason (bass) and Rex Duval (drums) had been going for ten years already. The band’s very first live appearance took place in September 1973 at "The Café des Artistes" just off Fulham Road in London. 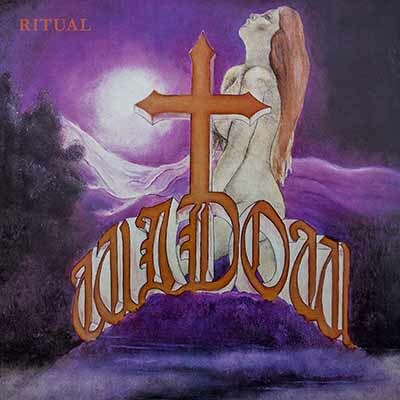 Today, Widow/Ritual are often cited as direct forerunners of the occult rock movement. Re Bethe himself though does not see too many similarities between his band and Black Widow, Atomic Rooster or Coven: "I don't think we ever classed ourselves as an occult rock band. I think we were more of a heavy rock band. But obviously we watched what was happening around us at the time. I think early on we were somehow influenced by Black Sabbath. You know, I wanted to do something that was a cross between Purple and Sabbath. Those were the only two rock bands I ever listened to, really. I think Black Sabbath and Deep Purple had it pretty right." 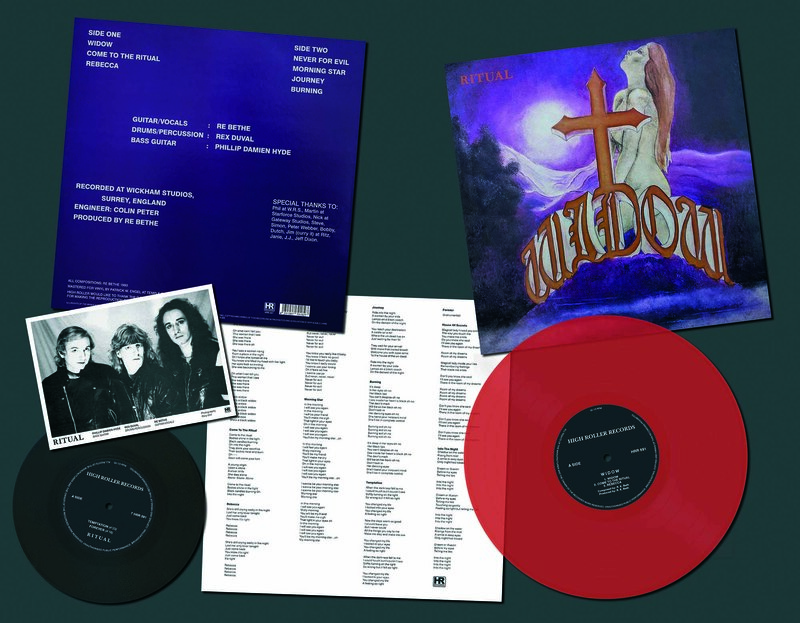 When Widow (or Ritual) released their debut album back in 1983, the legendary New Wave Of British Heavy Metal movement had already reached its peak. “We did see what was going on with other bands,” concludes Re Bethe. “We felt that we were part of something. We have often been compared to bands like Samson, Quartz or Pagan Altar. But actually we belonged to the generation of bands which formed directly before the punk years and couldn't get much work all the way through it. We were suffering from the same problem that all the other bands were suffering from. Trying to get a deal was impossible, trying to get distribution was impossible. It was just very hard." 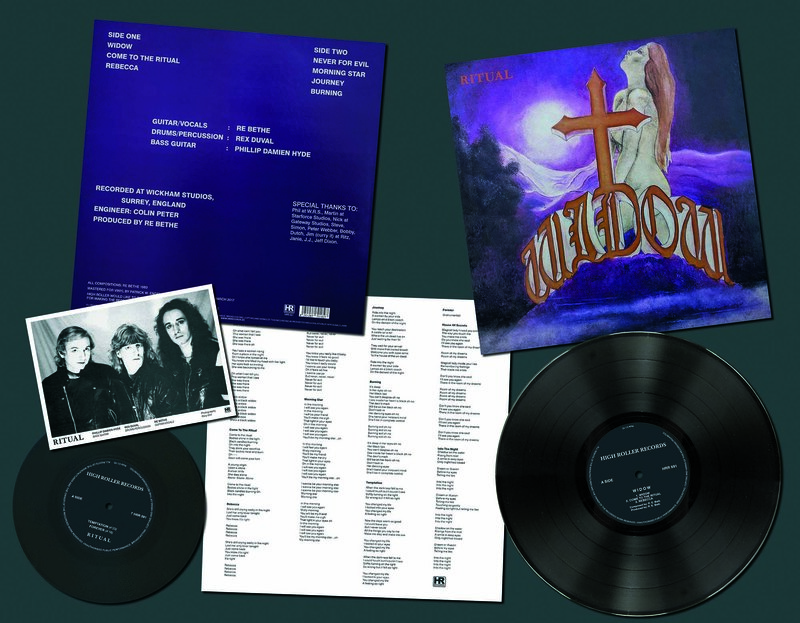 High Roller Records is proud to announce the official re-release of the legendary »Widow« album including its notorious “naked witch” cover. The material has been carefully re-mastered my Patrick W. Engel and includes a separate 7” single with no less than four bonus songs (“Temptation”, ”Forever”, “House Of Secrets” and “Into The Night”).